Time for some fun in the sun! After almost a summer's worth of repairs on our pool, it's finally back in operation (hallelujah). You know what that means? Oh yes- lots of swimming and lots of new water toys. I got this back in May for my birthday (thanks to my in-laws), but I haven't been able to try it out until now. 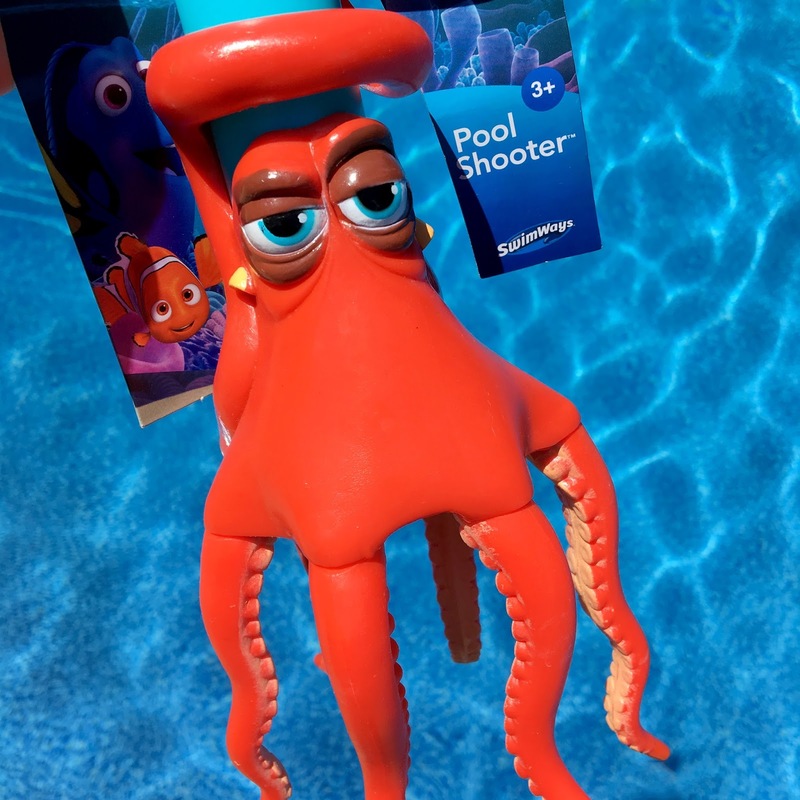 Here we have an awesome pool shooter disguised as Hank from Finding Dory...or is Hank disguised as a pool shooter? Hmmm...interesting (mind blown). Either way, this is a fantastic toy that fans of the film, young or old, will have a swimmingly good time with! Just dip Hank in the water and pull back on the handle to fill him up. Then lift and push the handle in for wacky squirting action! 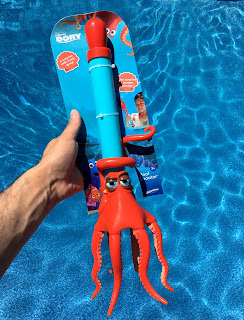 He'll shoot water all over the place from six, out of his seven, rubber tentacles. Like the packaging says, "a surprise with every spray." Hank was meant to be a pool toy; just perfect. The handle is made from a hard, light weight plastic and Hank himself is made from soft plastic/rubbery materials. Overall this feels like a very well made toy and fans of the film will have a blast with it in the pool. 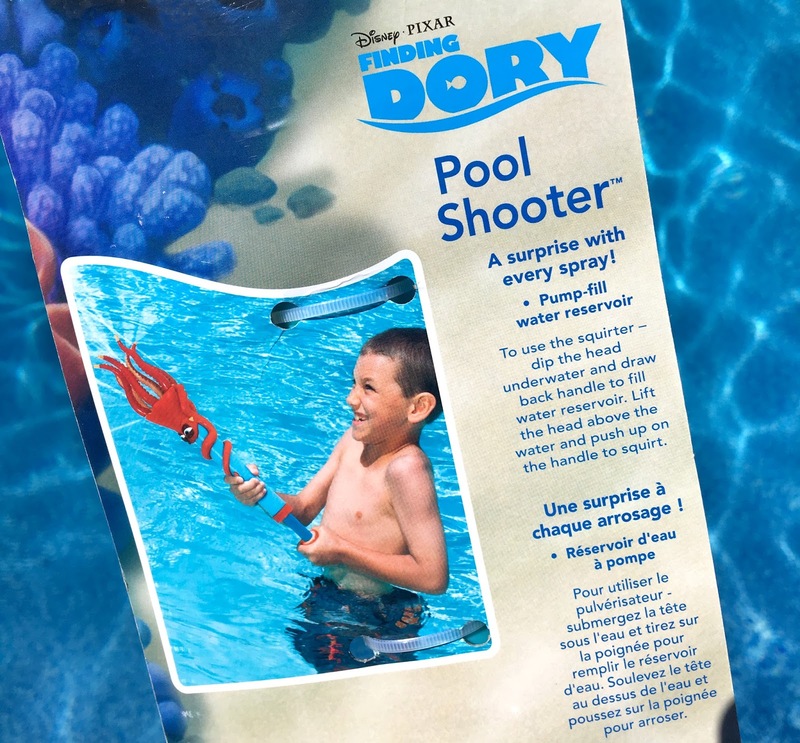 SwimWays brand Finding Dory toys were some of the very first products to be released clear back in early February of this year. They made a few other things that I got as well, so look forward to my write-ups on those right here soon. I have to say, they made a lot of cool merch! Well done. 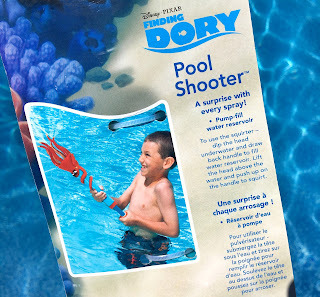 You can pick this up at Target, Walmart, Toys R Us, Amazon or wherever Finding Dory pool toys are sold. Retail is $9.99. OK, enough writing for me. It's a gorgeous day outside! It's swimming time...check it out in action below!